As a Nurse, I bet you have an opinion on this story about the FDA’s approval of the pain medication, OxyContin, for children as young as 11 years old. If you’re a parent of a severely sick child, I wonder if your opinion is different? This is a controversial decision by the FDA and we welcome your thoughts on this story. The Food and Drug Administration has approved the powerful narcotic painkiller OxyContin for children as young as 11. While doctors who treat young cancer patients hailed the approval, others expressed concern that prescribing OxyContin to children could put them at risk for addiction. 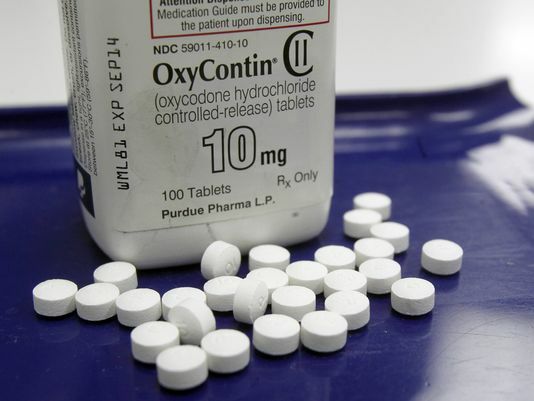 OxyContin, an extended-release version of the painkiller oxycodone, has gained notoriety in recent years because of its frequent abuse. People addicted to painkillers crush the pills so that they can be snorted or injected, producing a powerful high. In 2010, Purdue Pharma reformulated OxyContin to make it more difficult to abuse. The FDA notes that children generally have many fewer options for pain relief than adults. Because of that problem, the FDA asked Purdue to perform studies to see if the drug could be used safely in children ages 11 to 16 with pain caused by cancer, trauma or major surgery, said Sharon Hertz, a physician with the FDA's Center for Drug Evaluation and Research, in an interview on the agency's website. The FDA approved OxyContin for children this age who need "daily, round-the-clock, long-term" pain relief for which there is no alternative, Hertz said. Doctors should only prescribe OxyContin in children who have already been treated with opiate painkillers and who can tolerate at least 20 milligrams a day of oxycodone. Other than OxyContin, the only other long-acting painkiller approved for children is Duragesic, also known as fentanyl, Hertz said. "Children are not treated with opioids very often and usually it's only for a limited period of time with close supervision by health care professionals," Hertz said. "Fewer daily doses may free patients for physical therapy appointments, allow them to go home from the hospital sooner and may help them to sleep through the night without waking up." Doctors who treat pediatric cancer patients hailed the approval as a way to ease children's suffering. Children at the end of life aren't at risk of addiction. Having additional long-acting painkillers "is going to be tremendously helpful for treating children with cancer pain or pain at the end of life," said Justin Baker, pediatric oncologist and hospice and palliative medicine doctor at St. Jude Children's Research Hospital. Long-acting medications prevent breakthrough pain, so that youngsters can feel comfortable and "focus their energy on being a kid instead of fighting their pain," Baker said. But prescribing OxyContin to youngsters with short-term medical needs could be put them at risk for developing an addiction that haunts them long after they leave the hospital, said Andrew Kolodny, director of Physicians for Responsible Opioid Prescribing. Teens are at higher risk of addiction than adults because the brain doesn't mature until about age 25. Studies show that about one in 25 high school seniors has abused OxyContin, said Scott Hadland, a specialist in adolescent medicine and substance abuse treatment at Boston Children’s Hospital and Harvard Medical School. "Among adolescents who are prescribed OxyContin, a small but significant number are going to become addicted," Hadland said. The number of prescription painkillers sold in the USA has quadrupled since 1999, according to the Centers for Disease Control and Prevention. More than 44,000 Americans die of drug overdoses each year. Some people who become addicted to prescription painkillers switch to using heroin, which has become cheaper and easier to access than OxyContin. Kolodny said it's concerning that the FDA approved OxyContin for children without appointing an advisory panel to discuss the risks and benefits, a process traditionally used when the agency faces a controversial decision. Hadland said doctors need to take special precautions when dispensing painkillers, such as prescribing limited amounts, so that people don't end up with extra pills that they don't need. Doctors should screen patients for drug and alcohol abuse before prescribing OxyContin, Hadland said. And doctors should check their state's prescription drug monitoring program, which allows them to see if patients have already received painkillers from other doctors. Parents should be in charge of giving children the medication, instead of allowing teens to administer their own painkillers, Hadland said. Parents should keep painkillers locked away at all other time.